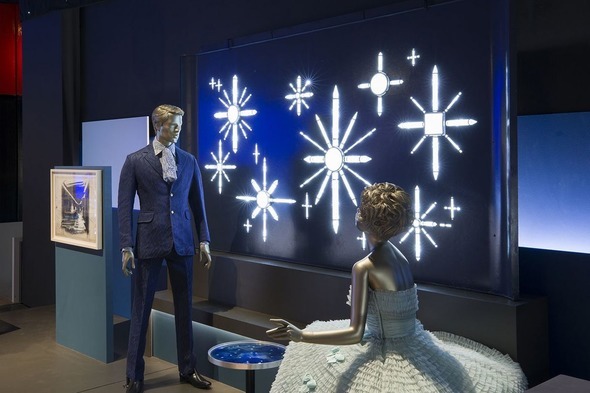 Recently I had the delight of visiting the Victoria and Albert Museum's newest exhibition - Ocean Liners: Speed and Style - which has received so much positive press coverage. For lovers of ships, Art Deco style and design, this is a great experience, and as the Curator said, a tribute to the work done by great shipping companies who managed to transform an uncomfortable, dirty and noisy experience into the most glamorous and aspirational journey. 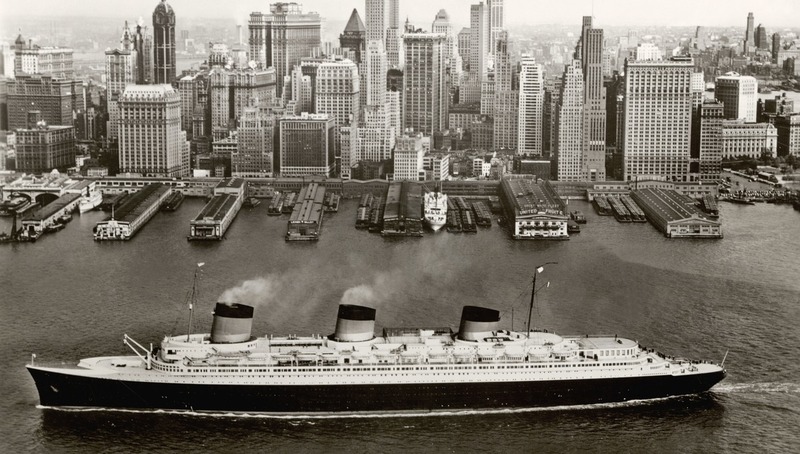 The exhibition highlighted the romance of the great age of the ocean liners, from Titanic to Normandie, the Queen Mary and the Canberra, both between the wars and afterwards (including ships - Costa's Eugenio C was one - which were still on sale when I first started in the travel business in the early '80s). Exhibits included the Cartier diamond and pearl tiara previously owned by Lady Marguerite Allan and saved from the Lusitania; luggage previously belonging to the Duke of Windsor; the California Detail of 'Riveters' from the series 'Shipbuilding on the Clyde', by Stanley Spencer; amazing costumes, beautiful furniture, wood panelling, striking murals and more. I particularly liked the wall fronted by a teak topped railing, with the sea behind and a liner sailing gracefully the full width of the room on the horizon. 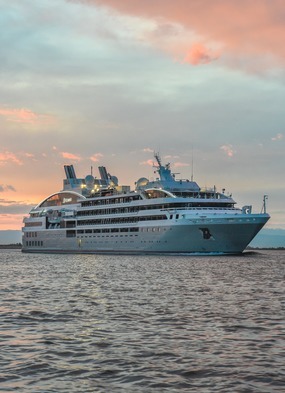 Sponsored by Viking Cruises, the show was amazing - but all the more so as a reminder that this 'Golden Age' which is being lauded is by no means over. 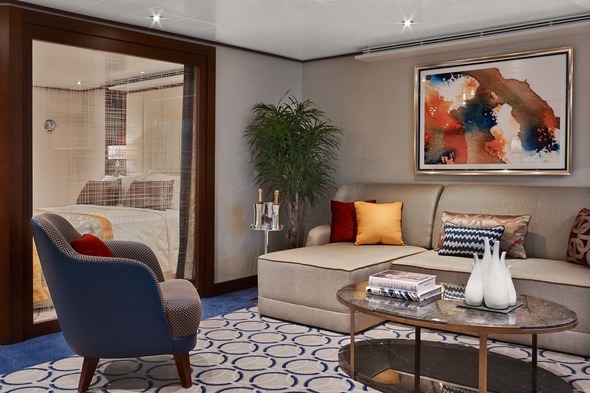 So many of the ships currently in service feature design details, art works and furniture which are no less striking and glamorous than those which featured on the liners of yore. 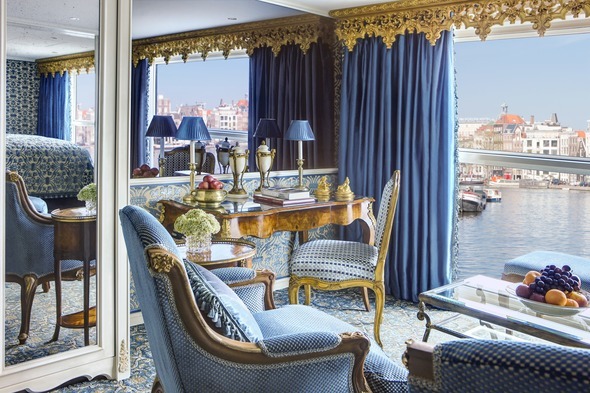 When Uniworld launched their river vessel Maria Theresa, the designers (family members) were proud to recount that in sourcing many of the features they had toured Europe, commissioning great artists and craftsmen with extraordinary skills to showcase some of the finest furniture, wall-coverings and glass work of our age. 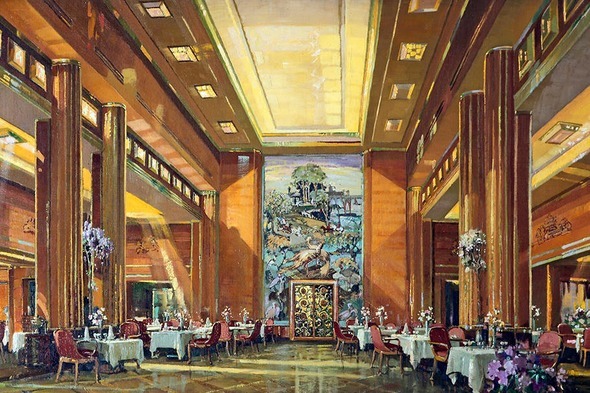 Oceania's art collection, personally curated by founders Frank del Rio and Bob Binder, features more than 2,000 original works on board the mid-size ships, and includes well-known stars as well as hidden gems - a reflection, so they say, of exactly the way they plan their itineraries. From Picasso and Miró to the modern art of Robert Mars and Damien Hirst, to emerging artists such as Li Domíguez Fong and Carlos Luna, the diverse collection spans a number of eras and genres. 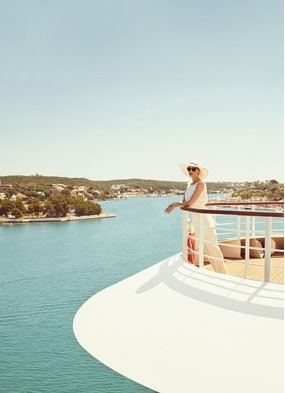 Seabourn commissioned renowned designer Adam Tihany to lead the builds of their new ships Seabourn Encore and Seabourn Ovation - and his ambitions included a collection of sculpture, photography, lithographs, porcelain, ceramics and paintings from around the world. 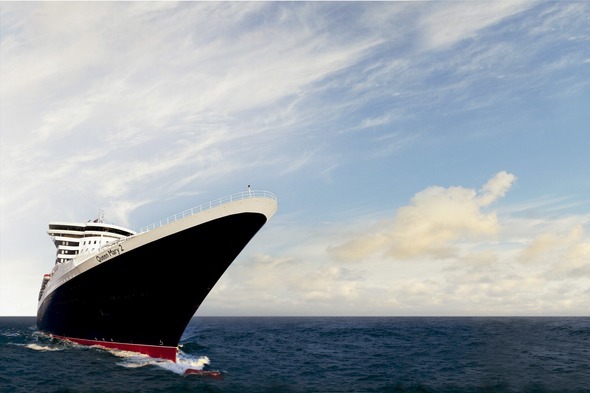 When the only modern ocean liner, Cunard's Queen Mary 2, was built, close attention was paid to the glamour of Cunard's heritage, with breathtaking chandeliers, intricate marquetry, sweeping staircases and more. In the recent refit, there was much focus on the finer details, with craftsmen brought on board to install new fittings, repair existing items and restore artwork, with almost every wooden surface sanded and varnished or painted. 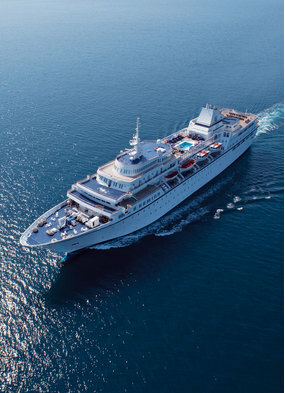 These are just a few examples of the extraordinary wealth of art and design featuring on the ships of today - and indeed exhibition sponsor Viking Cruises is no exception, with it's fresh Scandi style, beautiful tapestries and weavings, and handmade carpets.